This is a long shot but hope perhaps a viewer might recognize the mark/signature. 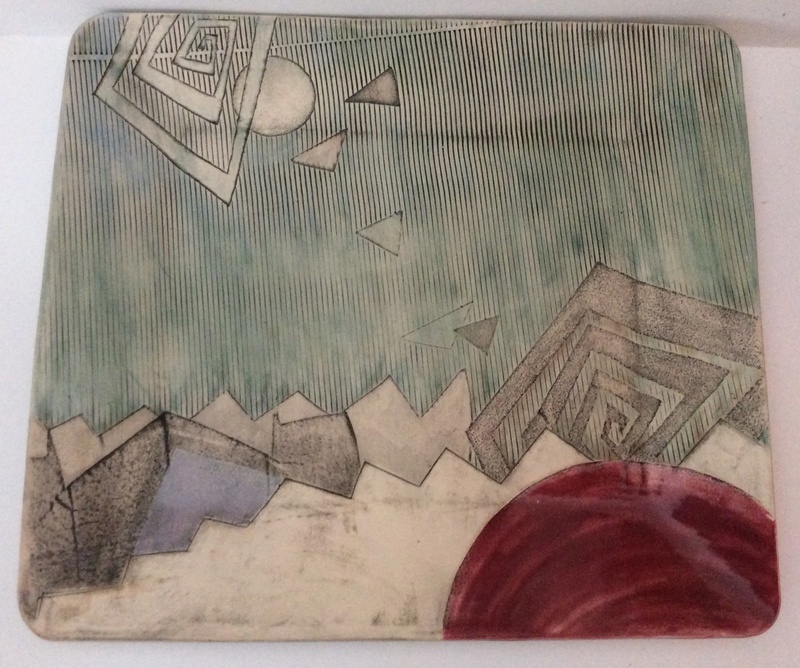 Acquired this large and impressive studio pottery slab built charger a few months ago. For a variety of reasons I suspect it dates from the 60s-80's. The crafting demonstrates considereable skill and artistry. It is large -measuring around 15" on the long side. 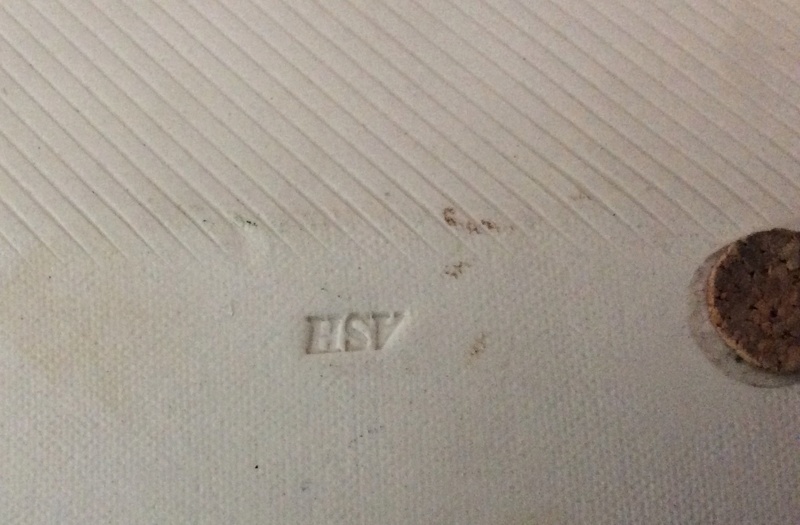 The impressed signature (initials) reads either "ASH" or "HSV". Hello - purchased at a charity sale just outside of Washington, DC. Ours is a very international population so could be from almost anywhere.